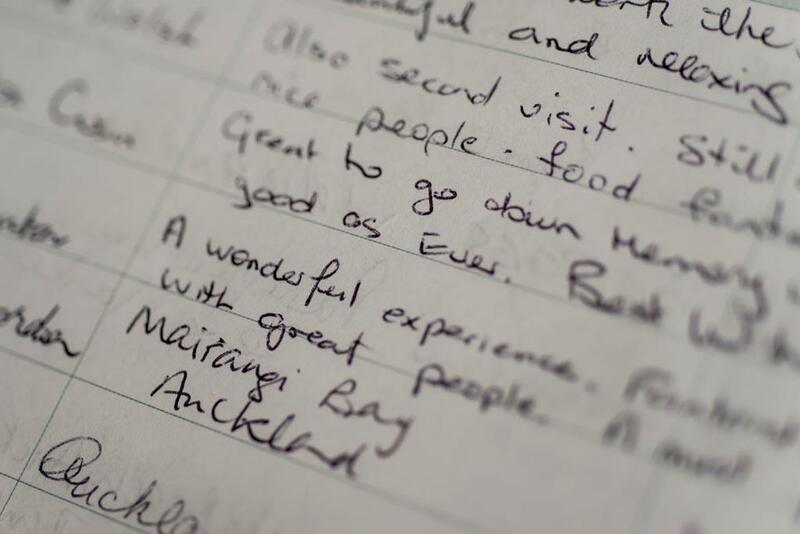 Below is a selection of feedback that we’ve had from previous Tora Coastal walkers. For the most recent testimonials, head to our Facebook page. We all LOVED every minute of the walk and I have HIGHLY recommended it to so many people. It’s a fantastic experience. We did of course have great weather. Thanks so much for having us! Loved every minute!! Thank you to the Tora coastal walk team for a weekend none of us will ever forget! What an amazing gift basket (Wild Honey Art) arrived at my door. Some things to eat and drink, but some to keep as reminders of our FANTASTIC weekend Will continue to recommend to anyone who will listen. A fantastic trip. Thanks so much all. The Tora Coastal Walk is a visual and gastronomic feast. Scenery that enchants, delicious food, gracious hospitality, comfortable accommodation and a wee bit of challenge thrown into the mix makes it a once in a lifetime unforgettable experience! Great weather, amazing food, great company and lots of fun. Thanks to the Tora Walk folk. Hard to believe this is so close to Wellington. Would recommend this trip to anyone. Nice walk, lovely accommodation and the food is even better. What a super time we had, a great walk in stunning landscape and fantastic food. All accommodations had very friendly hosts. Thank you for this wonderful experience! Many thanks Amanda for the delicious meal and to the TCW team for the fab time. Great not to have to lug the packs and it was wonderful to enjoy your special hospitality. Clambering over the Manurewa Point rocks after the first days walk on the Tora Coastal Walk. Followed by an exquisite dinner. Lovin it !!!! Coast road on the second day, blinkin’ windy, blinkin’ rainy, blinkin’ loved it !!! Thank you for a wonderful adventure on your incredible walk. We loved the whole thing especially the accommodation and incredibly yummy food. The weather was gorgeous every day so we were able to appreciate the sensational Wairarapa coastline even more! Total indulgence, Thanks!! We loved every minute of it and felt very spoilt to have the lodges to ourselves each day. The scenery was varied and interesting – farmland, coastal and bush and we made sure we did all the extras. The views along the coast were spectacular and the walk to the Trig on the second day was well worth the effort. The food was fantastic – a real treat to look forward to. The weather was a bit windy on the first and third days but that just added to the adventure. The weather on the second day walking along the coast was perfect. The lodges were all well equipped and very comfortable with heaps of character. The new Stony Bay Lodge was amazing and we could have stayed there for days. Thank you Tora… amazing couple of days. I will be back. Loving our walk so far – taking a leisurely start to day two. Hosts are generous, food is fantastic, accommodation is great and the walk provides a great variety from the rugged heights of Limestone Hill to the waves crashing on the coast. Fabulous food, fabulous hosts, fabulous walk thanks so much Kiri Elworthy and team we had a ball! Its a great walk with good food.. enjoy! A good fire to dry out and warm up by!! Wow! This time last week we headed down to do the walk – the best tonic and soul food ever! Thank you so much for the wonderful food, exceptional views, great hospitality and accommodation it was fantastic. I would have to say I enjoyed it more than the Tongariro crossing… Thank you!!! It wasn’t easy, but it was great. We meet some amazing people and ate some great food. You’ll be hard pressed to find better hosts and their families. Amazing way to spend Easter, great views, great hosts, delicious food, the Tora Coastal Walk is the whole package for a great weekend away. Thanks! Tora Coastal Walk is beaut and the food is delish. Walked it with 2 friends in March 2012. We also have done the walk with friends, the food was fantastic and the walk was too, highly recommend. Great first day of the walk & beautiful weather!